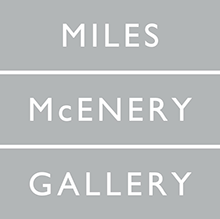 NEW YORK, NEW YORK – AMERINGER | McENERY | YOHE is pleased to announce an exhibition of recent works by Eric Green. The exhibition will open on Thursday 21 April and will be on view through Saturday 21 May 2016. Eric Green’s Time Diptych and Mirrored Room series poignantly tackle the metaphysical perspectives of time, space, and place. Each Time Diptych is laboriously rendered in graphite grisaille then layered with bright hues of colored pencils and UV varnish. The panels depict the same view of various rooms in Green’s home, altered by the passage of time. It is the confluence of the two panels that allows the viewer to have a heightened emotional experience in considering shifting relationships to our surroundings over the course of time. For his Mirrored Room series, Green explores how our brain filters information. He creates two identical images of the same room on one panel, only one is flipped 180 degrees to create a mirrored depiction. In doing this, our perception of spatial orientation is formed by the convergence of the two images. In both series, we are forced to slow our gaze and examine the absence and presence of objects and the suggestion of human activity. Ultimately, we are prompted to contemplate our own mortality. ERIC GREEN was born in Gorham, New Hampshire in 1956. He has had several solo exhibitions including Dowling Walsh Gallery, Rockland, ME; Gallery Henoch, New York, NY; Thomas Moser Gallery, Portland, ME; and Haley and Steele, Boston, MA. Recent group exhibitions include Portland Museum Biennial, Portland, ME; “Realism in 20th Century American Painting,” Ogunquit Museum of American Art, Ogunquit, ME; “171st Annual Exhibition,” National Academy of Design, New York, NY; “Art from the Driver’s Seat: Americans and Their Cars,” curated by Cara Sutherland. Traveling to: Museum of Our National Heritage, Lexington MA; Boise Art Museum, Boise, ID; Tarble Arts Center, Eastern Illinois State University, Charleston, IL; Kalamazoo Insititute of Arts, Kalamazoo, MI; Hudson River Museum, Yonkers, NY; Leigh Yawkey Woodson Art Museum, Wausau, WI; Hunter Museum of Art, Chattanooga, TN; Flint Institute of the Arts, Flint, MI; Mobile Museum of Art, Mobile, AL; The Columbus Museum, Columbus, GA; and Galerie Bernard DesRoches, Montreal, Quebec. Green is the recipient of the National Academy of Design Merit Award and the Vermont Council Arts Fellowship.